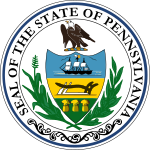 The Pennsylvania Gubernatorial election of 1998 was held on November 3, 1998. It was between incumbent Republican Tom Ridge, Democrat Ivan Itkin, Constitutionalist Peg Luksik and Libertarian Ken Krawchuk. Ridge, a popular moderate, won with 57% of the votes cast. Incumbent Governor Ridge ran unopposed for the Republican nomination. State Representative Ivan Itkin from Pittsburgh bested former Auditor General and US Representative Don Bailey from Greensburg and private detective and anti-corruption activist Bill Keisling from York. Itkin, although well not well known in the state, was a powerful figure in the legislature and had the backing of the party establishment, while the conservative Bailey drew strong union support. During this election cycle, Democrats struggled with fundraising issues and had difficulty recruiting a top tier candidate. Itkin, who had little name recognition statewide, was considered to be a sacrificial lamb. Peg Luksik, who was well known as an outspoken opponent of abortion, ran as a strong third party contender for the second consecutive election cycle; she emphasized the pro-choice stances of both candidates and drew votes in the state's rural, conservative center. However, Ridge's victory was never in doubt, as he ran on a generally positive record from his prior term and a combination of traditional Republican strategies (such as his "tough on crime" image) combined with his ability to somewhat undercut Democratic support (such as through his labor ties). ^ Kennedy, John J. (2006). Pennsylvania Elections: Statewide Contests From 1950-2004. University Press of America. ISBN 9780761832799. ^ The Pennsylvania Manual, p. 7-94. ^ The Pennsylvania Manual, p. 7-16. Cromwell, Gary E, ed. (1999). The Pennsylvania Manual. 114. Harrisburg: Pennsylvania Department of General Services. ISBN 0-8182-0248-3. This Pennsylvania elections-related article is a stub. You can help Wikipedia by expanding it.